Location:Everywhere I go...there I am! I did some looking around and haven't seen any more on this experiment. 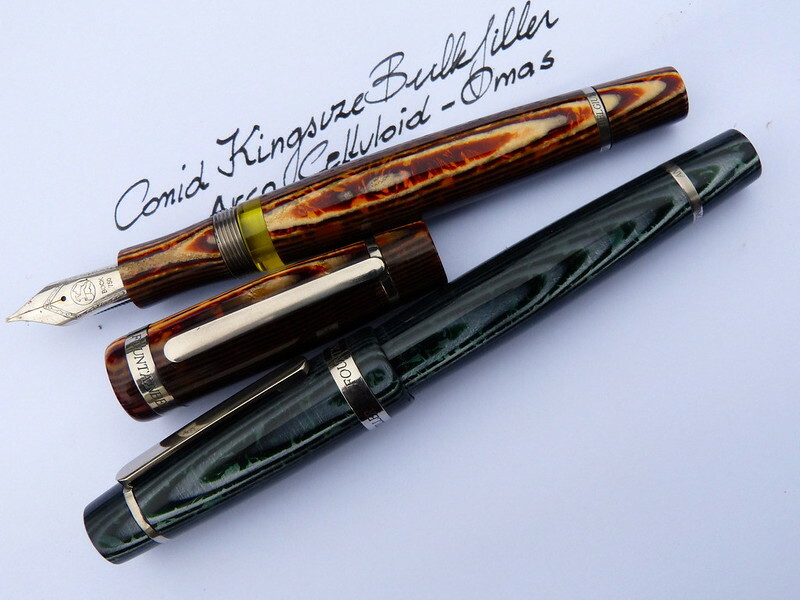 About a year or so ago it was discussed that Conid might be creating some of their gorgeous pens in this Omas Arco material. Has anyone heard anything else about this? It is the first time I have seen this, and I love it! that would be the ultimate pen for a lot of folks out there! I would seriously consider buying this pen if it was available. When I last checked with Werner, Conid tried to get enough rods for a production run but without success. Too bad and we can only hope that some equally nice material will come along. That's a shame that there wasn't enough material to go around, but that's it I suppose. The thing with Conid though, they never stand still...something big is bound to come up around the corner.